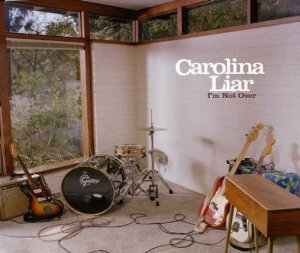 Home I don't know much about Carolina Liar! 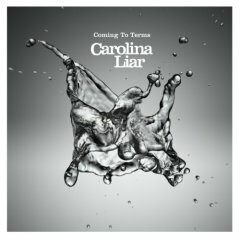 Though I have found out that the lead singer Chad Wolf is from South Carolina, he moved to Los Angeles and at one stage had a pop internship with Diane Warren, he housesat for a friend (I think Alexander Kronlund) who knew Max Martin and then went to Stockholm to work with Max, put together an all Swedish band and recorded their debut album "Coming To Terms". 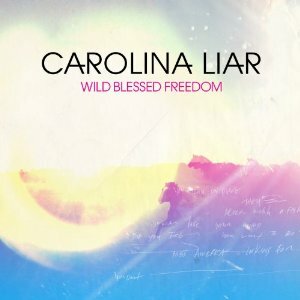 Carolina Liar's music has also featured in MTV's "The Hills" and the movie "What Happens in Vegas". And as at 8 June 2008 they have had 379,487 hits on their myspace. 35 E-Type Another awesome album! 42 Glee Max Martin is all over this album! 52 Kelis This album is excellent! A rare album where every song is fantastic. I'm very much enjoying listening to this album! Congratulations to all involved! Nice to see Alexander Kronlund and Per Aldeheim here too. 56 Leila K 1. I'm Not Over Written by C. Wolf/T. Karlsson. Produced by Max Martin, Michael Ilbert and Tobias Karlsson for Maratone. Additional production by Rob Cavallo. 58 Leona Lewis 2. Coming To Terms Written by C. Wolf/T. Karlsson. Produced by Max Martin and Tobias Karlsson for Maratone. 60 Living Things 3. Last Night Written by C. Wolf/M. Martin/T. Karlsson. Produced by Max Martin and Tobias Karlsson for Maratone. 62 Marion Raven 4. Show Me What I'm Looking For Written by C. Wolf/T. Karlsson. Produced by Max Martin and Tobias Karlsson for Maratone. 64 Megan McCauley 5. Simple Life Written by C. Wolf/T. Karlsson. Produced by Chad Wolf, Max Martin and Tobias Karlsson for Maratone. 66 Michele 6. All That Sh** is Gone Written by C. Wolf/A. Kronlund. Produced by Max Martin and Alexander Kronlund for Maratone. 68 Nick Carter 7. California Bound Written by C. Wolf/T. Karlsson. Produced by Max Martin and Tobias Karlsson for Maratone. 70 NSync 8. Done Stealin' Written by C. Wolf/M. Martin/P. Aldeheim/T. Karlsson. Produced by Per Aldeheim and Tobias Karlsson for Maratone. 72 Papa Dee 9. Something To Die For Written by C. Wolf/P. Svensson/P. Aldeheim. Produced by Max Martin and Per Aldeheim for Maratone. 74 Pitbull 10. Beautful World Written by C. Wolf/M. Martin/T. Karlsson. Produced by Max Martin and Tobias Karlsson for Maratone. 76 Prime Sth 11. Better Alone Written by C. Wolf/T. Karlsson. Produced by Max Martin and Tobias Karlsson for Maratone. 78 Robyn 12. When You Are Near Written by C. Wolf/P. Svensson. Produced by Max Martin for Maratone. 86 Taio Cruz Written by C. Wolf/T. Karlsson. 87 Taylor Swift Produced by Max Martin, Michael Ilbert and Tobias Karlsson for Maratone.